"This feast of a reference book chronicles the life and ministry of the Lord and is the most informative and readable guide on the New Testament that I've ever read." — Richard H. Cracroft, BYU Magazine, Winter 2007. This important reference for any home library is the perfect guide to New Testament culture, language, history, and teachings. Jesus Christ and the World of the New Testament is richly illustrated with hundreds of images, including original artwork, artifacts, maps, and timelines. Uncover the origins of the books of the New Testament and learn how stories of Christ's life and teachings were preserved after His death. Explore the relationships between Greek, Roman, and Jewish culture that explain much about how the gospel was shared and recorded. Examine scriptural issues that have been debated by scholars throughout the ages. Nearly 300 topics provide valuable context to understanding New Testament times, from the role of women and families, to portraits of key personalities, to controversial legends that have persisted to our day. 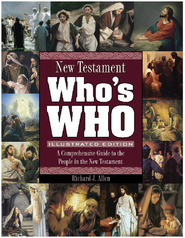 This unique resource is sure to enrich New Testament studies as never before! This book is beautiful and scholarly. It's a great introduction to New Testament scholarship for LDS audiences. It combines excellent research with a little bit of homily, beautiful paintings and photographs, and it reads like a breeze. You need not agree with all of the authors' conclusions to recognize what a great book this is. 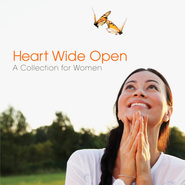 Congratulations to Deseret Book and the authors for making this book available. 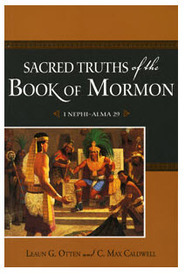 It's one of the finest publications Deseret Book has ever produced. As another review notes, the authors do not provide footnotes to their conclusions or claims, although they list a brief bibliography at the end of the book. This is a pretty big shortcoming, but I believe the book was intended for a general audience, and thus the scholarly apparatus was left out. Nevertheless, I *strongly* recommend this book, as well as its companion, "Jehovah and the World of the Old Testament." Beautiful book; covers lots of material. Too bad they don't know how to cite. All the photos have great citations. A source list in the back of the book is not the same as accurate citation of information. The average person will not realize nor care that the information does not meet scholarly standards of bibliographic citation.